This exclusive step-by-step guide will walk you through everything you need to know about self-direction, from the different types of accounts you can choose, to the funding strategies, and investments allowed. We've assembled our best resources including our most essential reports, articles, videos and more to walk you through the world of self-directed IRAs. 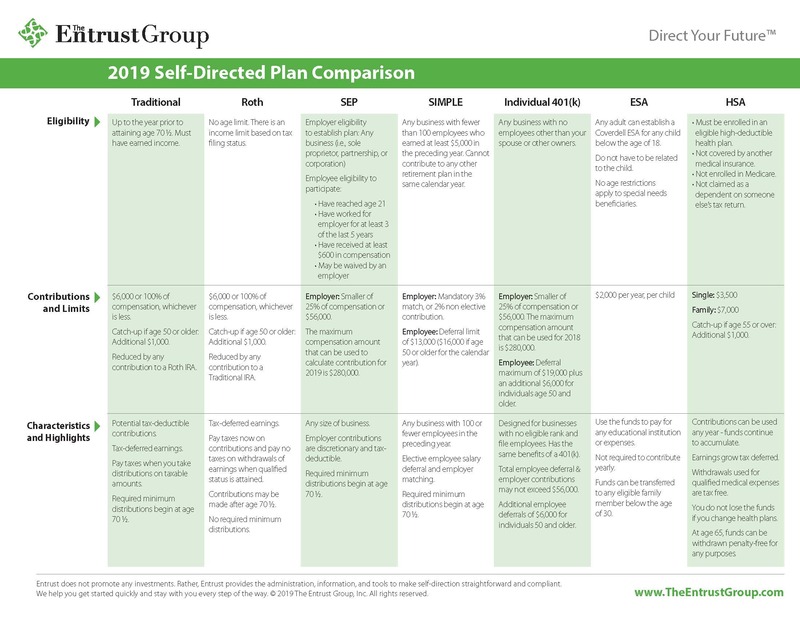 We are The Entrust Group, the premier provider of account administration services for self-directed retirement plans, and we want to welcome you to an investment strategy used by insider investors: self-direction! Hubert Bromma, founder and CEO of The Entrust Group was a pioneer, bringing the concept self-directed IRAs to the public over 35 years ago. Since then, we have been an acknowledged authority in the industry, placing a high value on first-hand personal service and education for our clients. We have a team of knowledgeable representatives to assist investors step-by-step in purchasing alternative investments with their retirement funds and administer the buying and selling of assets that are typically unavailable through banks and brokerage firms. If you choose Entrust, know that we will be here to help walk you through the process of opening and funding your account, completing transactions safely and accurately, and everything in between. We make it easy to open an account online in under 10 minutes, and with our Entrust Client Portal and Learning Center, you’ll have resources to manage your account at your fingertips, 24-7. Always make sure to conduct your due diligence when choosing a self-directed IRA company. To help you figure out what to look for when choosing an administrator to manage your retirement funds, read our Choosing Your Self-Directed IRA Company Guide here. The term “self-directed” simply means that you, as the account owner, have complete control over selecting and directing your IRA investments. The income you generate will accumulate in your account to provide you with a sturdy nest egg upon retirement. At Entrust, we believe in giving investors the information they need to make investments decisions for their own best interest. That includes talking in plain English as much as possible. To get you started, here are the most frequently asked questions from beginner investors like you. From the benefits of self-direction to investor roles and responsibilities, let us teach you about self-direction and how it really works. A self-directed IRA, or SDIRA for short, is an individual retirement account that gives you complete control over your investment choices. Unlike other IRAs, you’re not limited to stocks, bonds, or mutual funds. This means you can take advantage of investing in alternative assets - such as real estate, LLCs, mortgage notes, precious metals, and tons of other alternative assets. Benefits of a self-directed IRA include the tax-deferment of earnings on investments. Additional benefits include potential tax-deduction for contributions and potential tax-free distribution of earnings depending on the type of IRA. To receive the retirement tax benefits, the account must be governed by a Trust document that contains the rules stated under the IRS. Investments must also be held by an approved institution for the IRA investor to avoid taxation, like Entrust. More benefits of SDIRAs and why we love them. Why haven’t I ever heard of this type of investment before? Typically, financial institutions offer investments under the umbrella of an IRA to attract investors to the investments they offer. Self-directed IRA providers, on the other hand, do not offer any investments. Instead, they offer the services of providing the necessary documentation, trust or custody services of the investments and perform the required government reporting for the IRA. 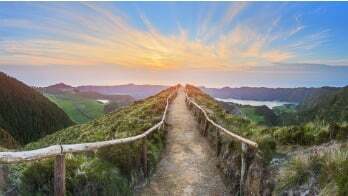 Are my self-directed IRA investments guaranteed? Since Entrust does not offer, provide nor endorse investment, it is up to the client to conduct proper due diligence with the investments they choose. Entrust does not and cannot guarantee any investment. What are the responsibilities of a self-directed IRA holder? Self-directed IRAs place the power with you, the investor. With that power comes the responsibility to research your investments to ensure they are legitimate. Conducting due diligence on each investment, educating yourself on the rules of self-direction, managing your investments and your account are also very important factors for self-directed IRA holders. What are the responsibilities of a self-directed IRA administrator? 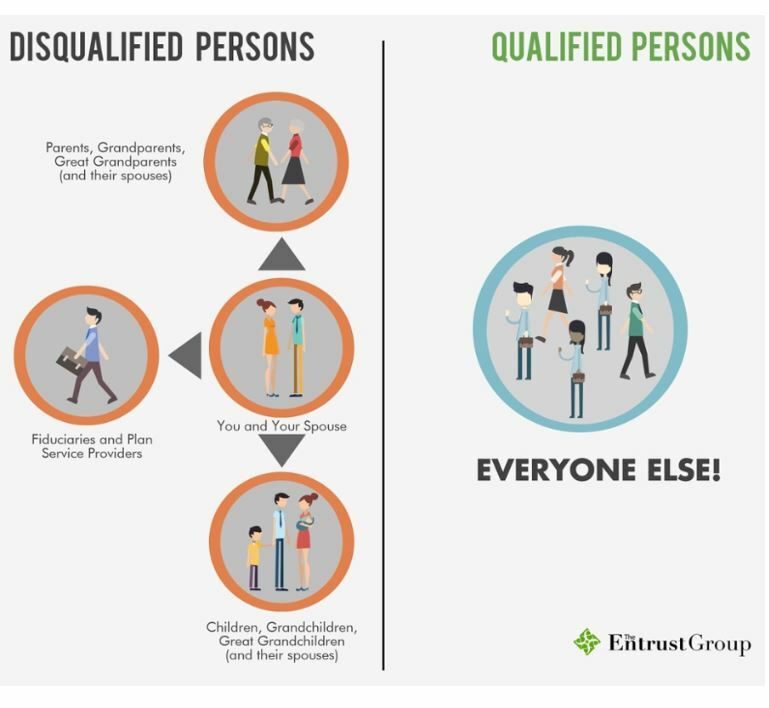 A qualified, experienced IRA services provider, like The Entrust Group will administer the assets held in your account, fulfill tax reporting to the IRS, and provide you with reliable customer service & educational material 24-7. Should I seek the assistance of a financial advisor before I make a self-directed investment? It is always recommended to seek the assistance of a tax, investment or legal expert before entering into any transaction so that they can guide you through the information you need to know to make an informed decision. These professionals can help you source your investment, conduct proper due diligence and discuss risks and rewards. If you decide that self-direction is for you, The Entrust Group can help you get started. Entrust has a team of knowledgeable representatives to assist investors step-by-step in purchasing alternative investments with their retirement funds, and administer the buying and selling of assets that are typically unavailable through banks and brokerage firms. What differentiates Entrust from other firms is that clients get a single point of contact when they open an account. No endless call center wait times, if you have a question, simply reach out to your dedicated representative. If you would like more information about the basics of self-directed IRAs, download our Basics Guide In addition, check out our short glossary of terms every self-directed IRA investor needs to know. It’s permissible for your IRA to invest in a variety of alternative assets — you just need a custodian that offers self-direction. With a self-directed account at Entrust, your IRA can purchase almost any alternative investment from real estate to precious metals, or even livestock. Keep in mind, self-directed IRAs follow the same rules governing IRAs and the IRS does limit the types of alternative investments you can hold in your retirement account. Anything from residential, commercial, mortgage notes, offshore real estate, undeveloped land, REO properties, and more. You can build a retirement portfolio with a range of assets you understand and trust while enjoying tax-free or tax-deferred earnings. Read more about your real estate options here. The IRS allows you to own gold and other precious metals (silver, platinum, and palladium) in the form of bullion and certain coins in a self-directed IRA. Adding precious metals to your retirement account could help you avoid the risk of unstable markets and inflation. Visit our Precious Metals Center to find everything you need to understand the Precious Metals investment process. Privately-held entities or small businesses like C corporations, LLCs, partnerships, startups, hedge funds, private stocks, land trusts, and more are available for investors in a self-directed IRA. This type of lending has the potential to bring higher returns than traditional investments such as the stock market or CDs. Also, note that with potential for higher returns come higher risks. Learn more about investing your retirement fund in private placements here. Check out our blog article about diversifying your retirement portfolio with private placements here, or download our free report about the basics of private placements in self-directed IRAs. There are only three types of investments that are not permitted within a self-directed IRA: insurance, collectables (with some exceptions for coins and metals), and S corporations. Anything else is available to you through these retirement accounts, but certain IRS regulations apply. Failure to follow IRS rules can lead to prohibited transactions. 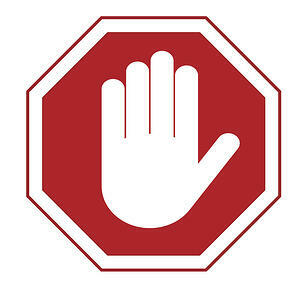 According to the IRS, a prohibited transaction is any improper use of your self-directed IRA account or annuity by you, your beneficiary, or any disqualified person. Many prohibited transactions stem from the involvement of a disqualified person. The following people are considered disqualified persons for the purposes of your self-directed IRA. Click image to enlarge or download. An officer, director or a 10% or more shareholder or partner. Learn more about prohibited transactions and disqualified persons here. Why let your investment choices be limited by custodians who invest only in what they are comfortable with? Why not work with an administrator like The Entrust Group, an administrator that allows you to make the decisions with investments you know and trust? A very important takeaway: be sure to do your due diligence before making any investment. Download our Due Diligence Guide to understand what it is, why it matters and how to do it well. The most popular accounts are Traditional IRAs and Roth IRAs. The main difference between the two is how they get taxed. The type of individual retirement account you choose can significantly affect your and your family’s long-term savings. So it’s worth understanding the differences between Traditional IRAs and Roth IRAs in order to select the best one for you. Traditional IRA contributions are made out of pre-tax income, and the funds contained in these accounts are allowed to grow tax-deferred. The assets contained in Traditional IRAs are taxed when distributions are taken at retirement. Learn more about Traditional IRAs here. Roth IRA contributions are made out of post-tax income, and the funds invested in these accounts grow tax-free. Distributions from Roth IRAs are not taxed if they occur at least five years after the account was established and under certain conditions. You pay income taxes on initial contributions in the year they are made, but you can withdraw the earnings tax-free as long as certain requirements are met. Learn more about Roth IRAs here. The most popular plan options for small business owners are SEP IRAs, SIMPLE IRAs, and Individual 401(k)s. Depending if you're self-employed, with a staff of 1 or 100, each of these employer-sponsored plans provide many advantages and significant tax benefits. A SEP IRA (or Simplified Employee Pension plan) provides an easy, flexible, low-cost retirement option if you are self-employed or a partner or owner of a corporation. A SEP plan is basically a Traditional IRA that allows you to make contributions for yourself and your employees. A SEP IRA does not have the start-up and operating costs of a conventional employer plan. Nor do you have to contribute the same amount each year. You can make tax-deductible contributions of up to 25% of each employee’s compensation (if you’re self-employed, you’re considered an employee, allowing you to save for yourself). Learn more about SEP IRAs here. A Savings Incentive Match Plan for Employees (or a SIMPLE IRA) is a retirement account that gives employers an easy way to make contributions toward their own retirement, as well as toward the retirement of employees. This account is designed for small businesses with 100 employees or less, as well as self-employed individuals. If you are self-employed, you are considered both "employer" and "employee" under the terms of the plan. Employees can choose to make contributions up to the allowable limit and the employer must contribute to the plan. The employer can choose to match the employee’s contribution up to 3% of compensation (dollar for dollar) or choose to contribute 2% of compensation across the board with no matching. Learn more about SIMPLE IRAs here. An Individual 401(k), also known as a Solo 401(k), is a retirement account that gives you maximum flexibility and freedom to invest for your future. The Individual 401(k) is similar to a Traditional 401(k), but is designed specifically for businesses that employ only the owner, their spouse, and partners. This plan allows small business owners the same advantages of a larger 401(k) plan without the expensive administrative costs. Learn more about Individual 401(k) plans here. In addition to retirement plans, Entrust also administers self-directed Health Savings Accounts and Educational Savings Accounts. These plans help reduce costs and provide a way to save on a tax-free basis. A Health Savings Account is a tax-advantaged medical savings account for people who are enrolled in an approved high-deductible health plan (HDHP). Individuals can use the funds for medical expenses, such as prescriptions, eye care, dental, and some over-the-counter medications. The funds contributed to an HSA are tax deductible, reducing the taxable income. Learn more about HSAs here. A Coverdell Education Savings Account (ESA) is a tax-free way to save for a child’s education. Contributions to an ESA are not tax deductible, but the earnings grow tax-free. By opening a self-directed ESA, individuals have the ability to grow their account faster than through traditional investments. Learn more about ESAs here. Use our chart and account guide below to help you compare your account options and find the best one for you. Click image to enlarge or download. Open your new account online here. More of a paperwork person? We have you covered. Download the Account Application Form here and send it to Entrust. Once you have opened your self-directed IRA with Entrust, you need to decide how you want to fund your account. Choose from an IRA Transfer, Rollover, or Contribution. More details below. An IRA Transfer is when the same type of retirement plan is moved from one firm to another. For example, moving your Traditional IRA from Oak Bank to another Traditional IRA to Entrust. Contact your current custodian to arrange the transfer and fill out our transfer form in the Entrust Client Portal. For more detailed instructions on transfers, click here. An IRA Rollover is when retirement funds are moved from a firm or out of an employer-sponsored plan (such as a 401(k) or a 403(b)) to a new type of plan or administrator. In a rollover, a distribution is requested to fund your account. For more detailed instructions on how to roll over your funds, click here. IRA Contributions can be made to fund an IRA account by making regular cash contributions each year. This option requires the account holder to be under 70 ½ years of age with earned income. To fund your account with a contribution, you need to follow the IRS contribution limits. For more detailed instructions about funding your account with contributions, click here. What’s the difference between a cash transfer/rollover and an in-kind transfer/rollover? A cash transfer or rollover means that an IRA holder is moving cash from one custodian to another custodian. An in-kind transfer or rollover is moving any other assets under an IRA that is not cash from one custodian to another. Cash transfers or rollovers are quicker than in-kind since the cash is already available which will provide a faster funding time. However, submitting a cash transfer or rollover request while assets are still being liquidated can throw a wrench in the works. If the delivering custodian receives the transfer request before all of the requested cash is available, they will usually reject the transfer, leading to a delay. If that happens, we notify the client. The client lets us know when the cash is available, and we resend the request when the cash is available. An in-kind transfer is when an IRA holder is moving an asset (e.g. a real estate property) from the custody of one IRA custodian to another IRA custodian. The property is not sold but instead, retitled from one custodian to another. For an in-kind rollover, a house is distributed based on its fair market value at the time of the distribution. If the IRA holder decides to roll the house back to an IRA within 60 days, the house would need to be retitled back to the IRA at the receiving custodian. There are the same property rules that one needs to be aware of. The same property must be transferred from one custodian to another. The same as a rollover, if someone distributed a house and sold the house once its outside the IRA. The proceeds from the sale cannot be rolled over since it’s not the same property that was initially distributed. Please note: In-kind transactions take longer than cash transactions as there are more moving parts and documents involved. We will work with your current custodian to transfer/rollover your asset(s) but based on the asset(s). Some assets require more time due to additional paperwork requirements. We work closely with the custodian (sender) often for in-kind transfers. These are sometimes documents from a third party which the client may need to do some legwork to get, particularly for real estate. A Fair Market Valuation (FMV) is part of the IRS reporting requirements that provide the value of an asset annually. A determination of the value of an asset such as appraisal or other legitimate means must be submitted to your self-directed IRA administrator to ensure proper tax reporting to the IRS. The value of the asset is based on what a knowledgeable, willing, and unpressured buyer would likely pay to a seller. Read our FMV Reporting and Guidelines to learn more of what’s required. Unrelated Business Income Tax (UBIT) is the tax on unrelated business income, which comes from an activity engaged in by a tax-exempt 26 USCA 501 organization that is not related to the tax-exempt purpose of that organization. UBIT is the income from a trade or business, regularly carried on (showing frequency and continuity), that is not substantially related to the purpose of a retirement account. On the other hand, Unrelated Debt-Financed Income (UDFI) is generated when an IRA borrows money to purchase real estate. UDFI is the result of “Acquisition Indebtedness” on the portion the IRA investment purchased using a loan. Find more information about UBIT, UDFI and acquisition indebtedness here. Once your account is open and funded, the Entrust Client Portal will be an efficient way to monitor your account balances, transactions, and distributions. You will have instant access to your detailed account information and track your account’s performance. The portal makes it simpler for you to instantly certify your account transactions. In addition, users can submit service requests to a Client Services Representative and receive assistance regarding their account. These are a few of the features that the Entrust Client Portal offers to make self-directed retirement as simple as possible. Click here to register and visit the Entrust Client Portal. Now it's time to take action! Open a self-directed IRA today in under 10 minutes! Once you’ve opened your account, you will be assigned a professional to help you through the investing process step-by-step. Not ready yet? Schedule a free consultation here.